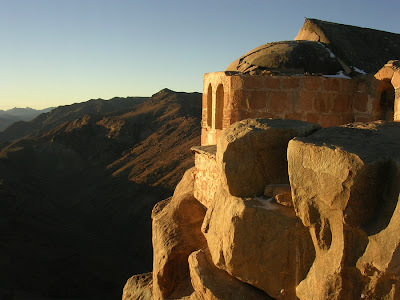 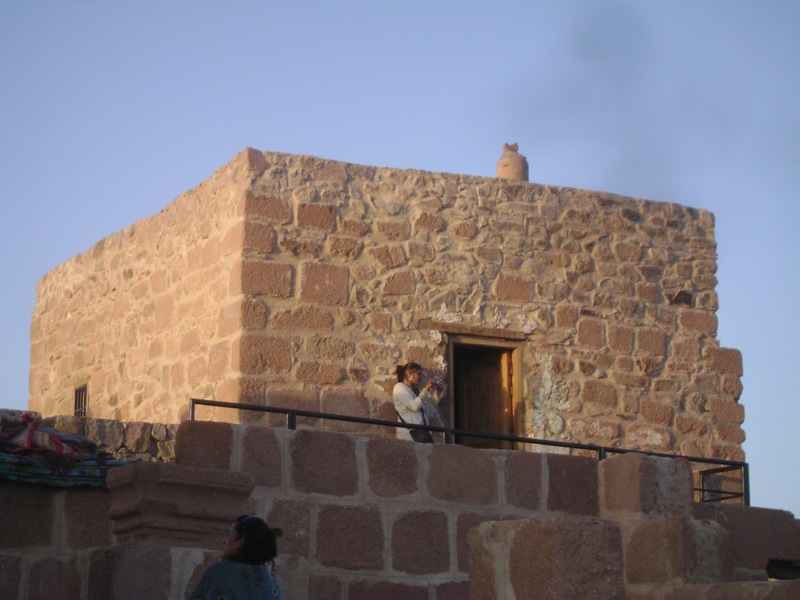 Mount Sinai also known as Mount Horeb, Mount Musa, Gabal Musa (Egyptian Arabic), Jabal Musa (standard Arabic) meaning "Moses' Mountain", is a mountain near Saint Catherine in the Sinai Peninsula of Egypt. 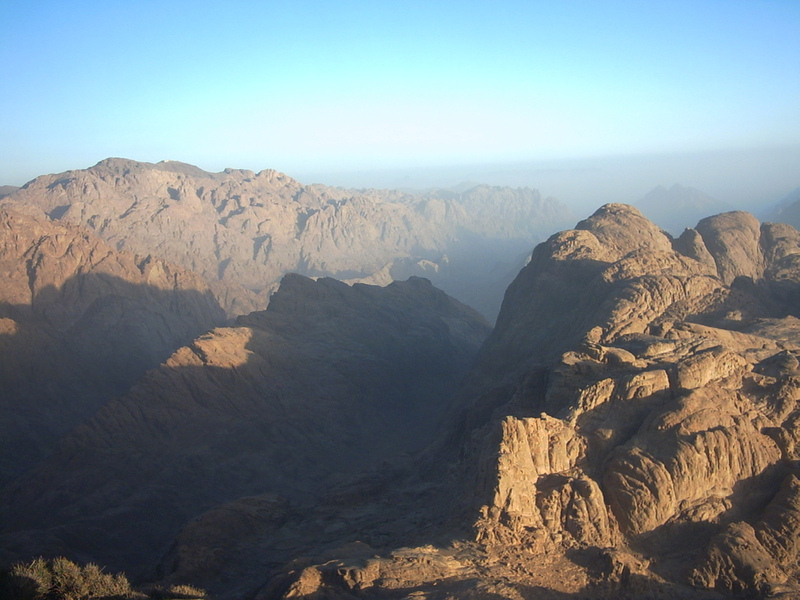 A mountain called Mount Sinai is mentioned many times in the Book of Exodus in the Torah and the Bible as well as the Quran. According to Jewish, Christian and Islamic tradition, the biblical Mount Sinai was the place where Moses received the Ten Commandments. 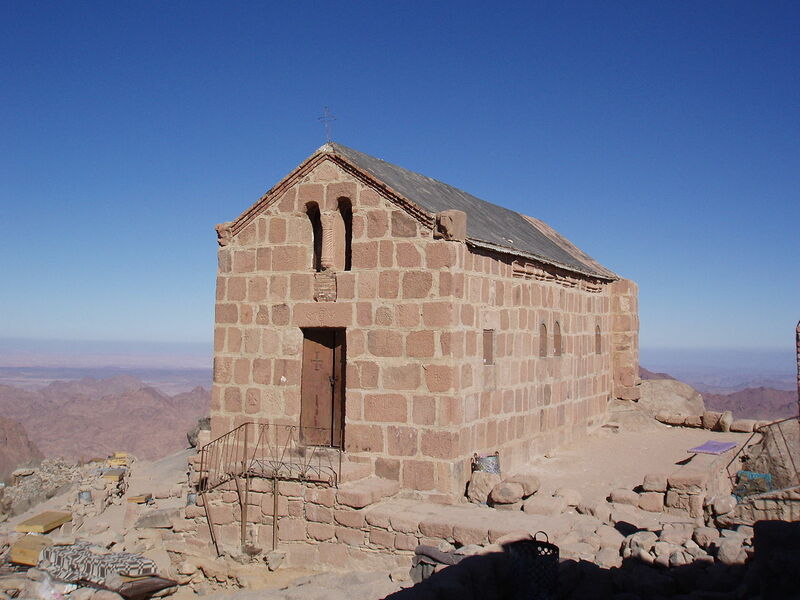 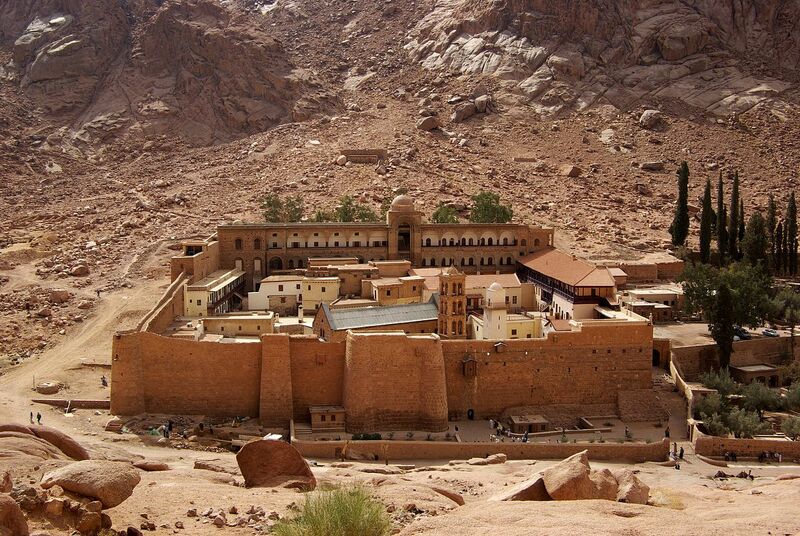 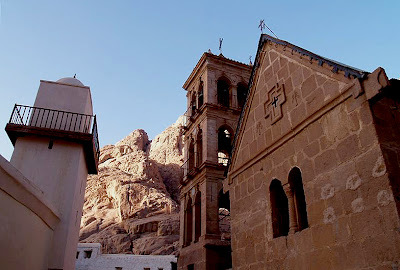 Mount Sinai is a 2,285-metre (7,497 ft) high mountain near Saint Catherine in the Sinai region. It is next to Mount St. Catherine (at 2,629 m/8,625 ft, the tallest peak on the Sinai peninsula and of Egypt). 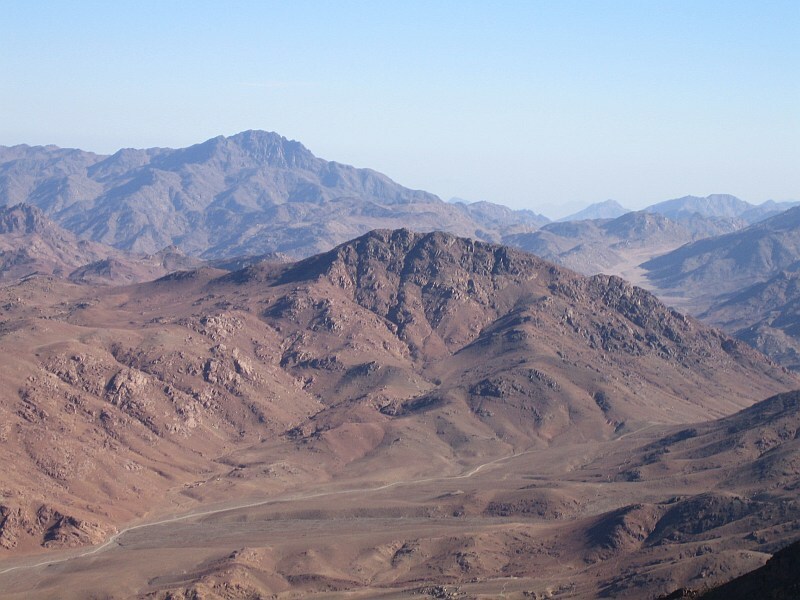 It is surrounded on all sides by higher peaks of the mountain range.